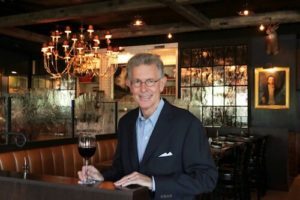 Bates Street Society will present Bill Roberts, proprietor of the Roberts Restaurant Group, with the 2019 Bates Street Pillar of Vibrancy Award. Each year, Roberts Restaurant Group supports nearly 300 charitable organizations, while also providing food and staff for dozens of additional philanthropic events throughout the community. The Bates Street Society was created in 2015 to help recognize donors who make significant charitable contributions to support the work and mission of The Community House in Birmingham. Roberts will be recognized among other esteemed community members at a formal dinner in early February. For more info on the Bates Street Society Dinner click here.